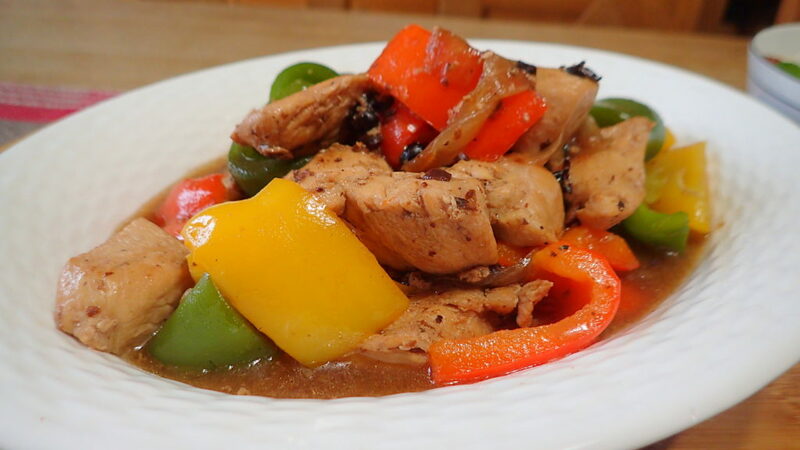 Stir Fried Chicken with Black Bean Sauce (豉汁干葱爆鸡球) This is one of the recipe which was lost in my old blog and one that I want to replace. 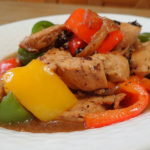 In UK all Chinese takeaway will offer all manners of protein in black bean sauce. I do not know why either. I am actually not as huge a fan as hubby and daughter. 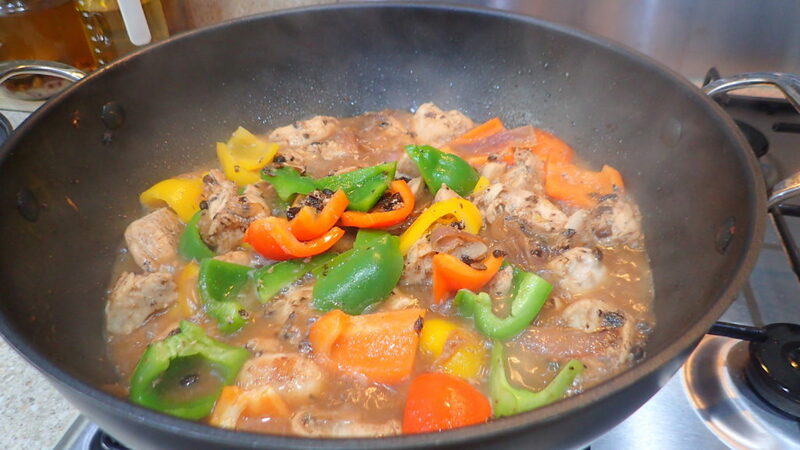 Chicken breast fry in black bean sauce is one of hubby’s favourite dish. He will complains that the black bean outside is all minced up finely and have no taste. 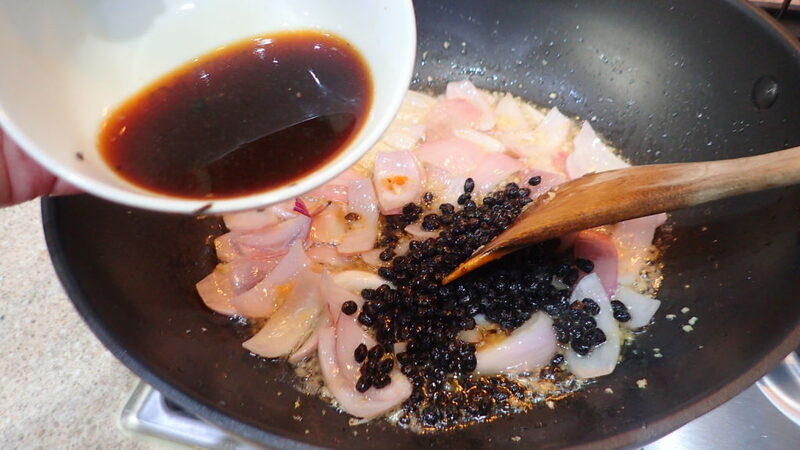 Thsi is because I normally soak mine dry black beans whole in rice wine or sherry before using. Like most men he likes his food saucy. Thu I often cook with a bit more sauce because he will be looking for some more sauce for his dinner. 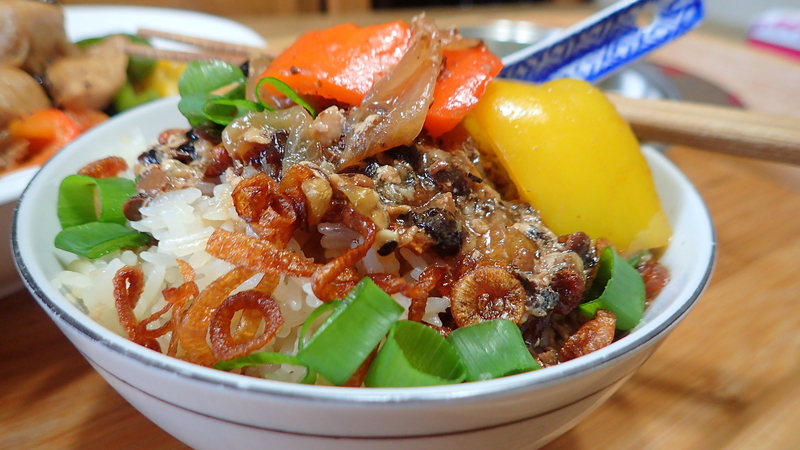 I sometimes add in mustard vegetables (kiam chai) and toufo. This is entirely optional and up to you. Taste and season to your liking at the end before serving. Enjoy. Soak blackbeans in rice wine to puff them up! 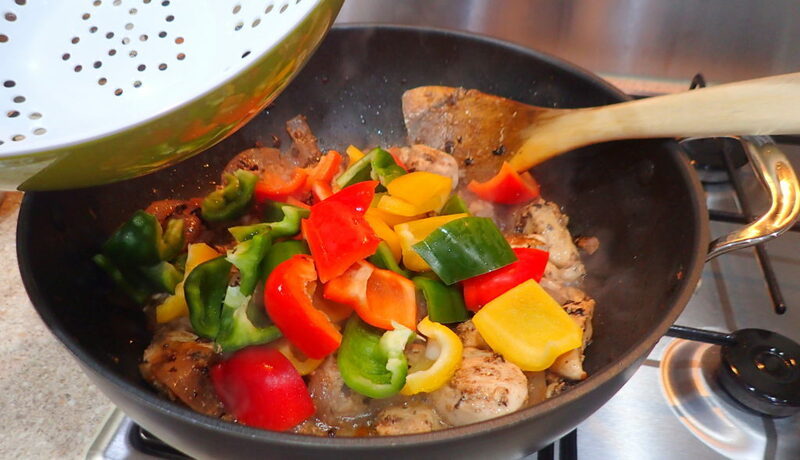 Velvet the chicken by marinating in soy sauce, corn flour, rice wine, pepper, egg whites and just before cooking, marinate at least 30 minutes, add in 2 tablespoon of oil to separate the chicken then fry in pan with no oil. Remove chicken after they changed colour and 80% cooked. 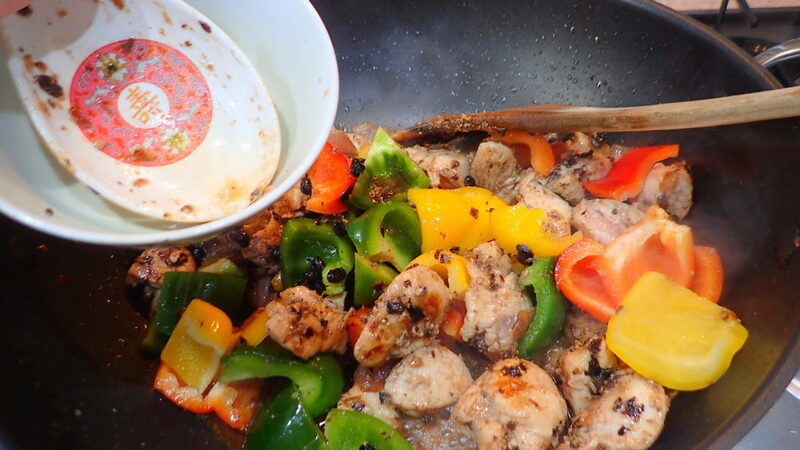 In a clean wok add a bit of oil – fry in order, garlic, ginger, onions, blackbeans (keep the marinate for later), chillies, bell peppers, give a good stir, add back in the chicken pieces and 1/2 glass of water. You may like to thicken the sauce with a bit of corn starch slurry. 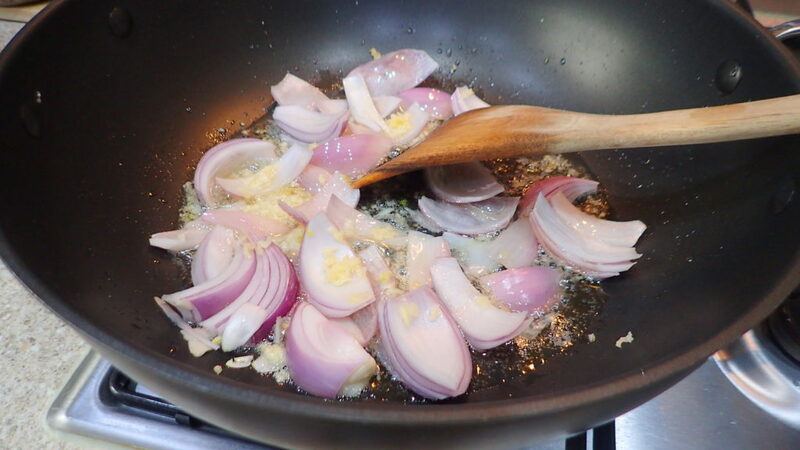 Bring to boil and serve – please do not overcook the veggies.